Edway Labour hire has partnered with ‘Training Aid Australia’ a leading online provider of both introductory and up-skilling training courses and, ‘ALERTforce’ in Sydney and Melbourne, which specialises in the provision of online, face-to-face and blended compliance training for work health and safety/occupational health and safety. Both partners offer training courses across a wide array of industries through easy to understand programs to suit a variety of needs, supported by attentive Help Desks and enthusiastic staff. 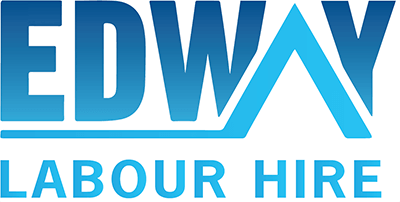 In addition, Edway Labour Hire owns a Registered Training Organization (RTO 91401) which works with various government departments and businesses to provide specialist short courses in; construction, health and hospitality, all of which are accredited by the Australian Skills Quality Authority and approved by all relevant State Authorities. We are committed to forging strong relationships with expert training providers, to ensure that our candidates, are given the very best training, prior to placing them with our clients. But it doesn’t stop there! Being “skilled” requires an ongoing commitment. It’s not a one-time deal. To that end, we encourage our candidates to continuously upgrade their skills sets by undertaking further courses and training, pointing out, that they are better placed to take advantage of opportunities by ‘value adding’ to their existing qualifications.